Would you have an unqualified solicitor represent you in a court of law? 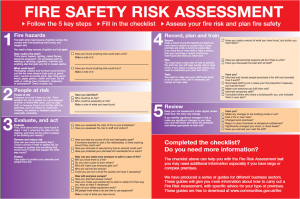 So why ‘risk’ your life or freedom by getting a fire risk assessment done by an unqualified fire risk assessor.A fire risk assessment is a legal requirement under the Regulatory Reform (Fire Safety) Order 2005. 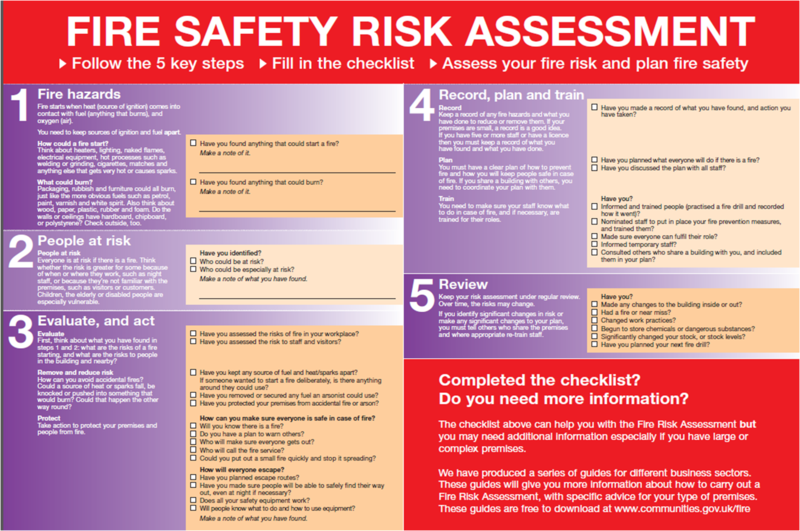 As a ‘Responsible Person’ you can still be held accountable should you instruct someone or a company to do a fire risk assessment for you. The dangers of fire are all too prevalent. People get killed if faulty or incorrect, or poorly maintained fire systems are not adhered to, and the owner is RESPONSIBLE. 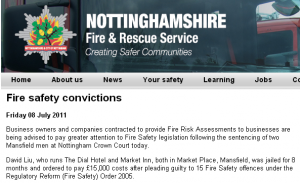 Don’t lose your business (or worse your freedom) by using out of date/faulty fire equipment or fire procedures. I am a qualified, trained and experienced Fire Risk Assessor. I can advise on up to date legalities relevant to your business. Fire Risk Assessments, Fire Emergency Plans, Fire Safety Management Services, Fire Alarm and Emergency Lighting Design, Fire Extinguisher Locating, Fire Escape Signs, Ansul R102 Design.